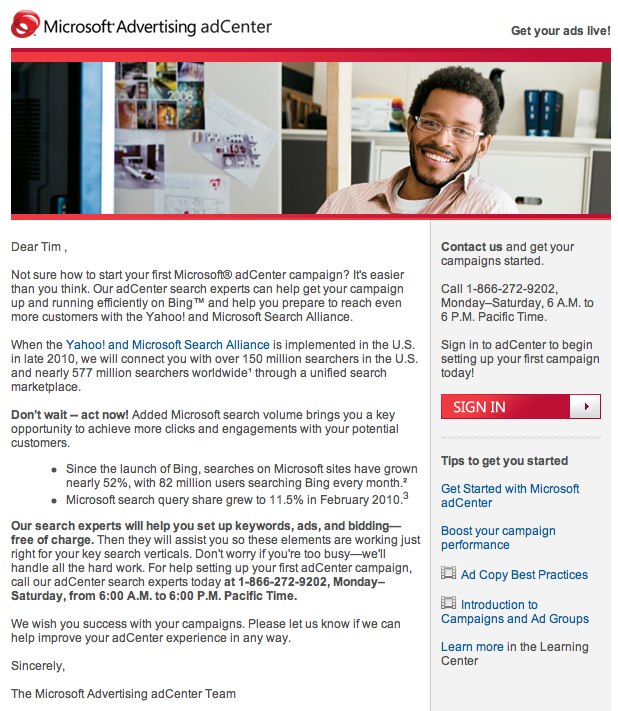 I got this email from Microsoft today highlighting the merits of the late 2010 Microsoft and Yahoo search alliance integration and launch. If I were a gambler, I would wager the integration of Bing’s and Yahoo’s search products won’t meet their stated launch date of “late 2010”. This entry was posted on April 13, 2010 at 4:49 pm and is filed under Bing Advertising Ping. You can follow any responses to this entry through the RSS 2.0 feed. You can leave a response, or trackback from your own site.